STOCKHOLM -- A Swedish court acquitted former top managers at Saab on Friday of tax evasion and fraud charges relating to their failed attempts to save the Swedish automotive brand, which went bust in 2011. 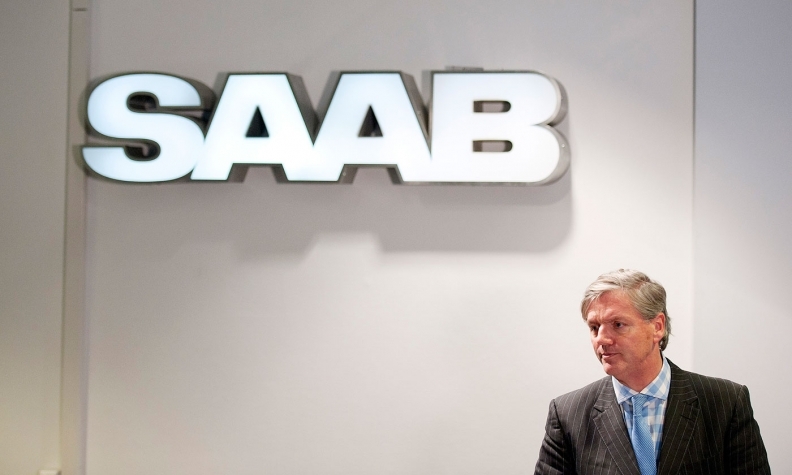 Two former Saab CEOs, Victor Muller and Jan Ake Jonsson, were accused along with five other people of forging documents to secure funding from Russian tycoon Vladimir Antonov and of giving an overly optimistic view of Saab's finances. All of the accused had denied any wrongdoing. "Vanersborg District Court has today acquitted all seven defendants who have been indicted for crimes committed in Saab's last fiscal year," the court said in a statement. In 2010, General Motors sold Saab to luxury sports-car maker Spyker, owned by Muller, even though Spyker was unprofitable and was small compared to Saab. Saab had been losing money for more than a decade and was seen as likely to collapse unless backed by a major carmaker. Under Spyker, Saab never had the financial resources to sustain production and soon racked up debts to suppliers. Many attempts to secure funding failed, including a loan from the European Investment Bank and aid from the Swedish state. Saab sought bankruptcy protection in December 2011. Spyker itself filed for protection from creditors in 2014, but has since started production again.